Our first webinar is in the books! 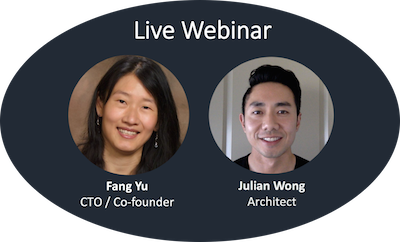 In our Fraud Detection Tools Webinar, DataVisor co-founder and CTO Fang Yu and I broke down four major tools for fraud detection: Reputation Lists, Rules Engines, Supervised Machine Learning, and Unsupervised Analytics. Based on my blog post, “Unsupervised Analytics: Moving Beyond Rules Engines and Learning Models,” we looked at what these tools are, how they work, and examples of their applications. In addition to sharing the information we know on the various pieces of a fraud detection tools architecture, we also had a chance to learn a bit from those who attended about how their companies are currently dealing with fraud. While these results are not reflective of a statistically relevant sample, it was still surprising to me that more companies are not using reputation lists as a basic building block in their fraud architecture. While the technology has its flaws, it is still part of your grander protection schema, much like having antivirus on your PC. It’s the least you can do. Also, seeing identical results for rules engines and unsupervised machine learning makes sense, as the two technologies often go hand-in-hand. It’s natural to build upon or complement a rules based system with unsupervised machine learning. What was not surprising was the slow adoption of unsupervised analytics. The technology is innovative, but complicated, and represents the next evolution in fraud fighting tools. As I mentioned in my previous post, unsupervised analytics requires no rules, labels or training data but does collaborate with other pieces of your architecture, such as rules engines and machine learning models. It provides analysts with new insights to create new rules and also can serve early warning signals and/or training data to their learning models, creating new and valuable dimensions to their model’s accuracy. It makes the other tools you’re using better. If you did not have a chance to join us live, the full webinar is available to watch here. If you have any questions, want to learn more about unsupervised analytics, or have any suggestions for future webinar topics, please don’t hesitate to reach out by email at julian.wong@datavisor.com.